According to the CIA World Factbook, Cuba’s infant mortality rate is among the lowest in the world — lower than the United States’ — and the country provides intensive prenatal care for women. 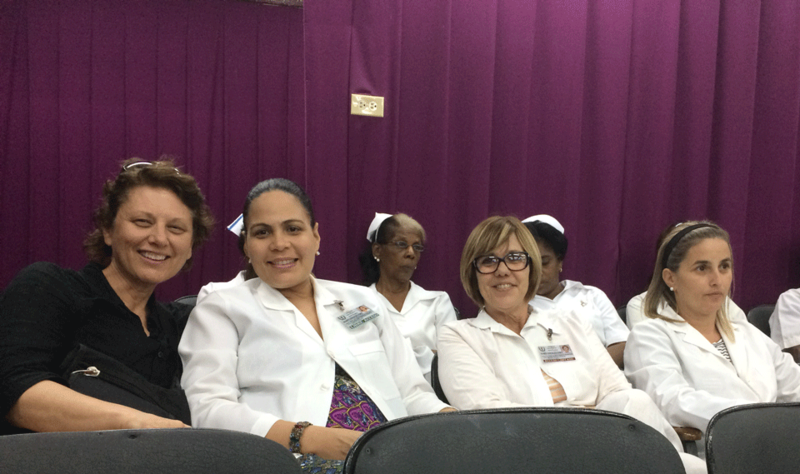 To understand the correlation between prevention-driven medical practices and lower infant mortality rates, a delegation of 14 medical health professionals — all women — visited Havana Feb. 26 to March 5. Their 10-day trip covered visits to more than 10 medical sites, including hospitals and clinics, where they investigated the country’s universal healthcare system. The delegation of health professionals – called Women’s Health in Cuba – included Kathleen Young, professor at California State University, Northridge’s Department of Health Sciences. Young was a NIH-CSUN Research Infrastructure in Minority Institutions (RIMI) scholar in 2013, conducting a pilot study on breast cancer prevention screenings and services for low-income and uninsured Latina women in Pacoima. In 2015, Young conducted presentations on the cultural competency of health care practitioners in various regions of China, while teaching at Zhejiang University in Hangzhou as a Fulbright Scholar. As her work gained international recognition, Young was invited by the Academy of Women’s Health in Washington, D.C., to participate in the Medical Education Cooperation with Cuba sponsored exchange program, which focuses on women’s health and prenatal care. “What healthcare practitioners are doing in Havana in breast cancer work is wonderful and country by country we can always learn from one another for optimum health,” Young said. Young said she hopes to co-collaborate with Cuban healthcare practitioners for breast cancer screening services to incorporate both countries’ best practices.